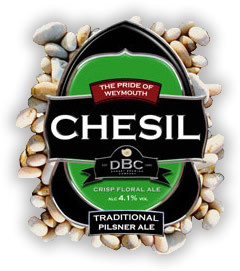 Dorset Brewing Company’s Chesil | DorsetBreweries.com - A Guide to Dorset Breweries and Dorset Beers! A Guide to Dorset Breweries and Dorset Beers! A superb pilsner style summer beer with citrus undertones.